When preparing for a job, we anticipate the possibilities, the excitement and happiness inherent in every wedding. We look forward to a day full of opportunities to capture extraordinary moments in the lives of the people we will see. The possibilities for joyful moments are endless. And that makes us very happy. Every wedding day starts as a blank canvas, and the fun begins when the bride and groom paint the day in their own unique way. We discover little moments in time that tell their story - the story of their wedding and the love that brought them to it. Often, couples don’t even realize that those “little moments in time” occurred at their wedding until they see our photos & video. They were too busy - or nervous or emotional - throughout the day to appreciate the heart-warming scenes that surrounded them. Through the magic of photography and cinematography, they can relive their wedding day and experience, perhaps for the first time, the happy tears, spectacular smiles, and tender embraces of family and friends. 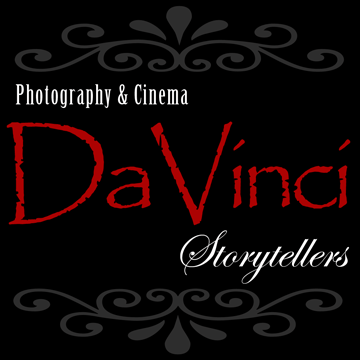 DaVinci photographers and cinematograhers have an innate ability to “see” those special moments and the skill to capture them for all time with our cameras. We have an artist’s eye, always aware of light and shadow, colors and contrasts, moods and movements. We work exclusively with the very best digital, high definition camera equipment, which offers instant feedback on every photo and video clip we take. With a flip of a switch we can adapt to every lighting situation, from a dimly lit chapel with stained-glass windows and candle-lit altar to bright sunlight shimmering off white marble steps outside the church. We can capture a conspiring wink, a tiny tear, or the freckles on the flower girl’s nose. By knowing the technical capabilities of our equipment we can catch enchanting moments before they slip away. Our artistic talent combined with our technical skill makes all the difference in the final photos and video we present to our clients in New Jersey and all over the world. The key to being the most successful wedding photographers in New Jersey is teamwork - collaboration between the bridal couple and their wedding photographer and cinematographer throughout the planning process. Trust is an essential element of that teamwork. A bride needs to know that her photographer and cinematographer will show her best side. She must be able to trust them to shoot the images that are important to her. And a photographer and cinematographer needs to be trusted and allowed to be their creative best. It is important, therefore, that the couple and their photographer and cinematographer are a good match, that their personalities are compatible, and that they share the same goals. I have been a professional photographer for over 30 years. I am very passionate about what I do and I work in all forms of media to capture my images. I purchased my first camera, a German Practika LBII, at the age of 15 and fell in love with the art of photography. As a young adult of age 16 I became an apprentice to one of New Jerseys oldest and reputable portrait studios where I learned classic posing techniques and studio lighting techniques from a true Master of his craft, John Kondreck, Jr.
At the age of 17 I purchased my first professional grade medium format camera, a Mamiya RB-67. I photographed my first professional (paid)wedding at the age of 20, and have been passionately capturing exciting and creative images ever since. I am also a trained Portrait and Commercial photographer and a graduate of CMA/Germaine School of Photography in New York where I learned Commercial Photography, film processing and all aspects of operating a professional color lab and photographic studio. I also have completed several workshops hosted by the leading legends in wedding event photography in the USA.After graduation I became a Jr. Photographer for Martin Cobin in NYC where I worked on projects for Coward Shoe, Newsweek, Glenlivet, Seagrams, General Electric and more. Afterwards I became a Lead photographer for Garraway Studios/ The Slide Center in Rutherford NJ where I worked on projects for clients such as Revlon, Waterford Crystal, Lancolm, Howmedica, Panasonic and more. As a photographer I have utilized my over 30 years experience to creatively and unobtrusively capture images in several different styles of photography such as Traditional, Journalistic, Illustrative and Fashion Based to tell heartfelt wedding story pictorals. My talent is constantly being honed and updated to compete with the ever changing trending styles today. I'm using single light source as well as multiple light source configurations for creative effects. I spent years as a member of Professional Photographers Association of NJ where I have been awarded for my artistic photographic creations in portraiture and event photography. I have also been published in several major publications. My equipment is the latest Canon Professional Grade 5D MkIV with Canon L-Series II Lenses, Speedlights as well as Godox off camera strobe lighting and I have pro grade duplicate Backup equipment as well.